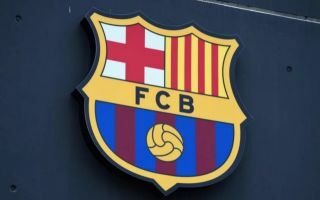 The deal taking Barcelona star Rafinha to Real Betis has reportedly moved a step closer to going through as an obligation to buy could be inserted into the move. The 25-year-old impressed during his loan spell with Inter in the second half of last season, making 17 Serie A appearances for the Italian outfit as he played a key role in helping them qualify for the Champions League. While a permanent move to the San Siro didn’t materialise, it’s been reported that Rafinha’s future is still in doubt with Mundo Deportivo noting that he could be edging closer to a move to Betis with an obligation to buy being included in the agreement. However, it’s added that Rafinha now wishes to have a few days to consider his options before making a decision on his future as an exit may well be the most sensible decision if he is set to struggle to establish himself in Ernesto Valverde’s plans again this year. Although Andres Iniesta and Paulinho left the Nou Camp this summer, Barcelona signed Arthur and Arturo Vidal to fill the voids to keep up the intense competition for places. Coupled with the likes of Sergio Busquets and Ivan Rakitic, it’s difficult to see how Rafinha can establish himself as a regular starter, and so perhaps leaving to continue to build on the momentum he enjoyed last season could be the right move for his own career. Nevertheless, Valverde will surely want to consider if a departure is the best solution for his side, as if they wish to compete on various fronts this season, they could potentially do with the depth and quality that Rafinha is capable of providing.